Team Bondi senior staff admit that hours were sometimes long, but says they were never as long as the anonymous whistleblowers made out. 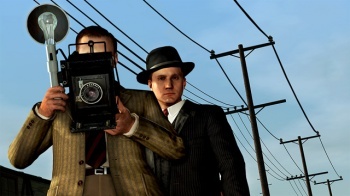 Staff at Team Bondi have denied claims that the heads of the studios forced staff to work incredibly long hours for next to no compensation for extended periods during LA Noire's development. According to one staff member, the reports of poor conditions were nothing more than former employees trying to ruin the studio by destroying its reputation. Dave Heironymus, the lead gameplay programmer for LA Noire, wrote in a letter to the IDGA that the many of the claims made against Team Bondi were made up. He admitted that development hadn't run entirely smoothly, and that people had left the studio as the hours grew longer and the pressure mounted. He also admitted that the studio had required employees to work weekends, but said it had implemented a system to "generously" reward people for their time. He also said that in the last sixth months of LA Noire's development, the studio put a system in place to similar reward people for staying late on weeknights, which resulted in most of the staff ending up with an extra four weeks leave after the game shipped. He categorically denied that people were routinely asked to work 100-hour weeks. He said that he had never asked any member of staff to do something that he wouldn't so himself. He said that the longest typical week he ever worked was around 65-hours and that while he couldn't say that no one ever worked 100 hours in a week, he said it was absolutely not encouraged. In another letter to the IDGA, senior gameplay programmer Charles Lefebvre again admitted that some weekend work had been required, but that Team Bondi had been very flexible. He said that all he had to do if he couldn't make a particular weekend was to notify his team leader and that was that. He said that he had never heard of people being denied pay owed to them, even if they'd left the company. What's interesting here, is that someone in this story isn't being entirely truthful, or at the very least is glossing over certain facts, either to make them look better or make someone else look worse. There are a few things that both accounts agree on - people were working seven day weeks, for example, and people did leave the company when project milestones were missed - but where they differ is in how the studio, both the staff and the management, reacted to these challenges. Without having worked at Team Bondi it's impossible to say which accounts are true - if any of them are completely true, of course - but hopefully the IDGA investigation will get to the bottom of things.